Reach for new heights of style with the Ambition fountain pen. 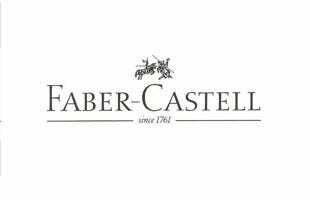 Faber-Castell have taken a bold departure from conventional luxury writing instruments, opting for a straight-edged profile made up of right-angles and clean lines. This classic combination of polished chrome and black resin offers plenty of visual appeal. Keep a little slice of German design at your fingertips with this simply excellent fountain pen. Great pen and a very reasonable price. The engraving was lovely.